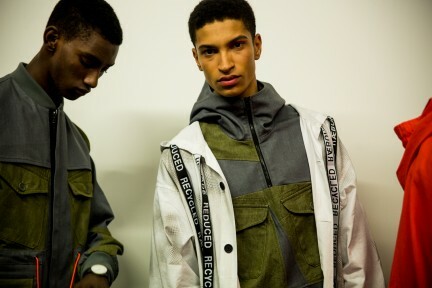 When discussing the work of Christopher Raeburn, there are four ‘R’s to remember: REMADE, REDUCED, RECYCLED, RAEBURN. After all, sustainability is at the core of the British designer’s eponymous brand. A graduate of London’s uber prestigious Royal College of Art, Raeburn has cultivated a distinctive aesthetic known for his meticulous detail, considered functionality, and sustainable intelligence, creating luxury with integrity. 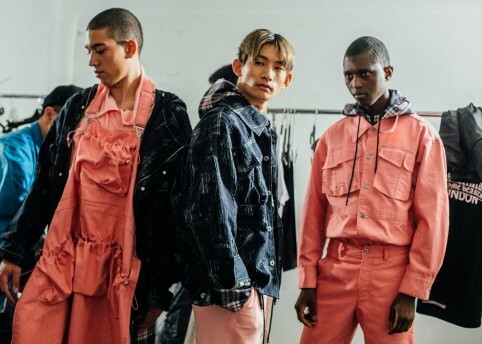 This environmental ethos was evident in his SS18 collection, debuted with a combined menswear and womenswear show at the main LFWM show space. Inspiration for the season came from The Long Walk, a book by Polish Army lieutenant Slavomir Rawicz, which chronicles an epic 4000 mile journey from Siberia to India, travelling through the Gobi Desert and Himalayas. 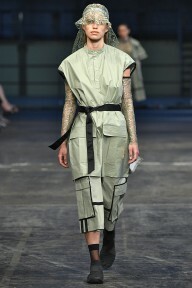 The collection reflected the book’s adventurer spirit, with garments designed to withstand these extreme conditions. 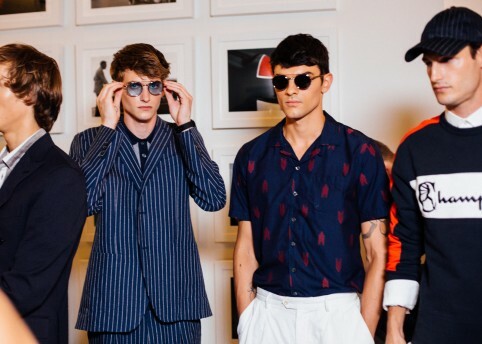 They came in a colour palette of mostly grey, orange and camo print in an array of reworked fabrics including pre-flown kites and cooling cotton all reconstructed for the collection. 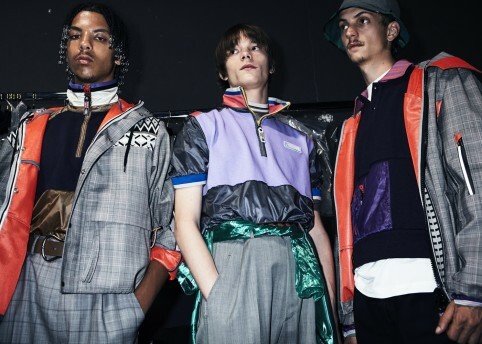 A particular highlight was the first look down the runway, a tracksuit constructed from grey and orange panels, paired with a flowing orange overcoat. The ultimate lounge-about option. 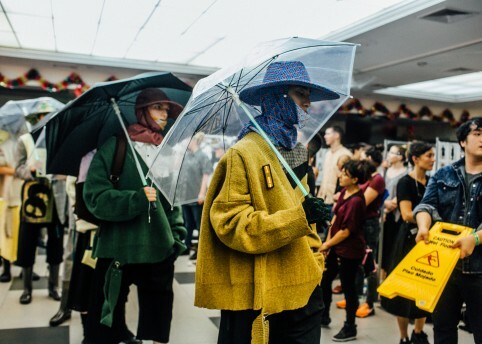 Several collaborations were also presented, most notably with footwear brand Palladium with a line of boots made from recycled PET coated leather, and with minimalist watch brand Instrmnt. 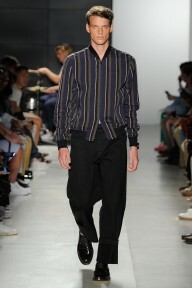 And another Raeburn signature has been his introduction of a brand mascot with every season. FW17 had the chameleon and this time we saw the jerboa, a hopping desert rodent that gave a pre-show clue on the invitation, and appeared on sweatshirts and knitwear.